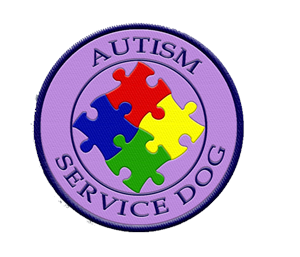 Working Service Dog Blog: What is Autism? Autism is a general term used to describe a group of complex developmental brain disorders known as Pervasive Developmental Disorders (PDD). There are five disorders under the PDD umbrella: PDD-NOS (PDD-Not Otherwise Specified), Asperger's Syndrome, Rett Syndrome and Childhood Disintegrative Disorder. These are also referred to as Autism Spectrum Disorders (ASD). Autism was first identified as a unique condition in 1943. Its cause remains unknown, but is thought to be a combination of genetic susceptibility and environmental factors. The CDC states that as many as 1 in 110 children may be affected with ASD. According to the NIH, all children with ASD demonstrate deficits in 1) social interaction, 2) verbal and nonverbal communication, and 3) repetitive behaviors or interests. These deficits and behaviors may range from mild to severe and present differently in each child. Children generally begin to present signs of ASD between 12 and 36 months of age. What role do service dogs play? Several agencies train service dogs specifically for the needs of children and adults with ASD. Dogs are trained from puppyhood, then placed with individuals and their caregivers after a thorough application, screening, and training process. These dogs are certified service animals and their access is protected under the Americans with Disabilities Act (ADA). Among other skills, dogs can be trained to interrupt unwanted repetitive behaviors, prevent impulsive running, alert caregivers to potential problems, increase comfort with tactile experiences, and decrease social isolation. Some service dogs are also trained in tracking/search and rescue. 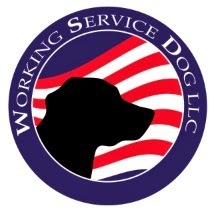 On http://www.workingservicedog.com/ you can find a patch and ID badge specifically for the Autism service dog. That patch is wonderful!! Very nice!